Furniture Upholstery Studio City California is a pioneer in the upholstery and reupholstery business proudly announces its expansion of excellent services to all customers living within the area of Studio City, both for residential and commercial upholstery and reupholstery needs. ​Furniture Upholstery Studio City with its proven track of record of over 36 years in the upholstery industry assures every valued client that they will cater to any of upholstery project, whether it is a custom-made sofa, sofa reupholstery, personalized headboard, themed chairs or slipcovers, with professionalism. Are You Looking Quality Furniture Upholstery in Studio City? If you are on the lookout for great furniture ideas, unique upholstery product designs, affordable packages and quality service, checkout Upholstery Studio City CA. Feel free to contact us at 1(818) 600-0094 if you live within the area of Studio City. Our team of upholstery specialists will provide you the best advice or workable solution for any of your upholstery or reupholstery project needing immediate attention. Get your free quote now at Upholstery Studio City California. ​At Upholstery Studio City, our highly trained upholstery specialist guarantees every furniture piece you contracted will be treated with utmost care, top quality craftsmanship and dedication. 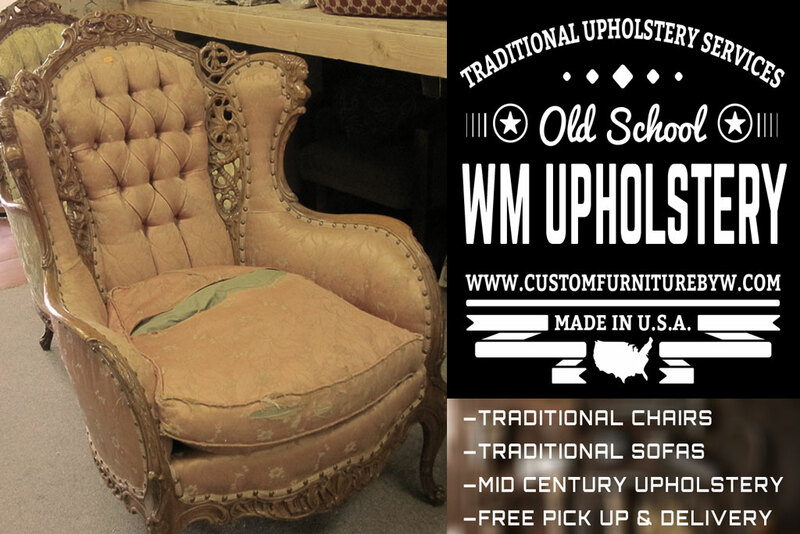 Upholstery Studio City in Studio City will ensure the final outcome of any upholstery or reupholstery project will be fully completed and delivered right at the doorsteps of their homes, business or office on their preferred date. Aside from that Upholstery Studio City has a wide range of services, ranging from Commercial Upholstery Studio City, Residential Upholstery Studio City, Sofa Upholstery Studio City and other outdoor furniture projects that you can choose from their product catalogs and showroom. In fact, Upholstery Studio City CA, can even come up with a customized design that will perfectly blend with the rest of your home, office or business interiors and atmosphere themed set-up. Don’t just be contented of having your furniture upholstery or reupholstery project be done by any upholsterer, let Upholstery Studio City Ca, do this job for you because they really deliver the most satisfying result at the most reasonable price. One small piece of history where we made our mark was at the Sportsman Lodge LA in the 90’s. This upscale Hotel is on Ventura Blvd in Studio City, Los Angeles and it is located in the heart of the major studios. WM Furniture Upholstery provided custom seating furnishing for the patio area as well as re-manufacturing of the restaurant booths. We also did extensive refurbishing and reupholstery work to the in-room chairs at the hotel in that project. High scale commercial new and remodeling installations have been a specialty of WM Furniture Upholstery from our early days in business and we are still the best choice for any business that is renovating or adding on to their establishment interior and/or exterior guest areas. 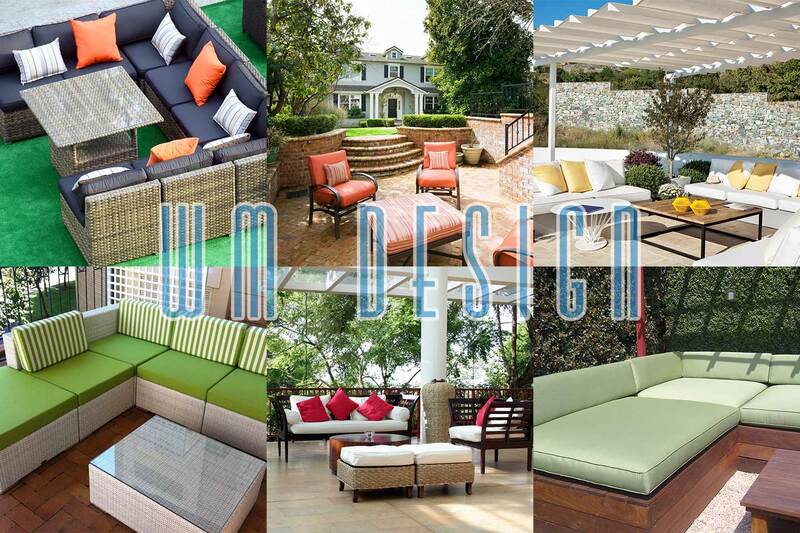 We do all full patio cushions replacement and custom made outdoor sofa upholstery in Studio City CA. Replace your old patio cushions with new sunbrella fabrics. Thousands of outdoor patio fabrics available at our local upholstery shop. 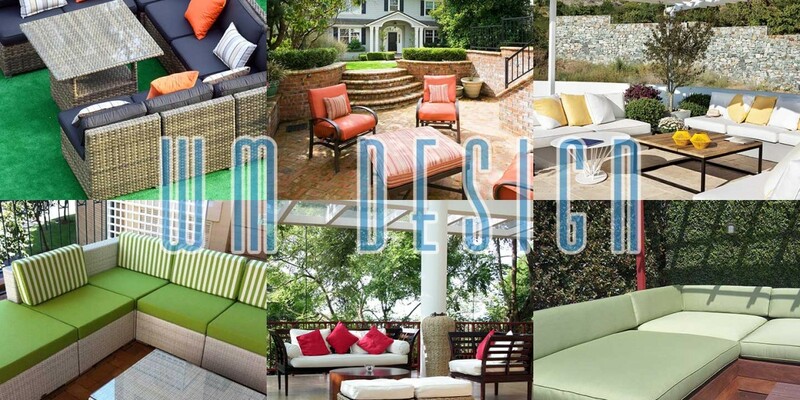 We serve commercial and residential patio cushions and sofas custom made upholstery in Studio City CA.